At the beginning of the season I thought Duke was a very impressive team. They have two wins over 40 points (46 and 52). I realize these wins were against bad teams but give some credit for playing some D and making shots/layups/and free throws. As of late though I have lost a lot of confidence in Duke. They’ve lost to Florida State whose a tournament hopeful, Virgina Tech who I think is one of the first four out as of right now, and St. Johns. Florida State is a good team and I know when you’re expected to win every game and you lose people point fingers. I’ll give Florida State credit of a well played game and not bash the Dukies for a loss that was bound to happen. Virginia Tech was looking good for a little bit and making a case for themselves to the selection committee but this loss was unimpressive to say the least. As for the St. Johns loss, who hasn’t St. Johns beat? Enough said on Duke’s losses. Their very few and not much to fuss about. I think Duke’s success is in the hands of Nolan Smith and Kyle Singler, obviously. Coach K needs these two to step up and be the leaders they can be. The loss of Kyrie Irving dampers their ability to win title. I see Duke making it to at least the Elite 8 and think they’ll make the Final Four, but that’s the end of the road for the Blue Devils. Like I said in a previous post, predictions are just predictions. It’s great when you get them right but when you’re wrong who really cares, unless you’re betting on the games….That’s just wrong anyway! I look for Coach K to have his team ready to perform well but not able to prevail and win another title. I’m interested in hearing what other people have to say and their opinions on how far they think Duke will make in this year’s March Madness Tournament! Many of my friends have asked me what’s most surprising about this years college basketball season so far. 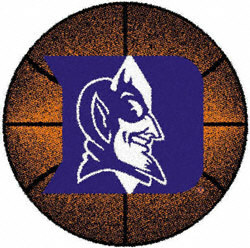 Two things that have really surprised me are the Duke Blue Devils(10-0) and The San Diego State Aztecs(10-0). I’ll talk about the Aztecs in a later post after I’m able to watch them and read up on them a bit more. Duke so far has really caught my attention. 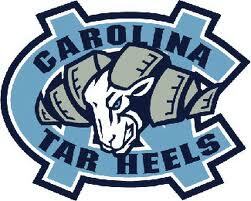 Yes, they did win the National Championship last year and I expected them to be good once again this year. But, I did not expect them to dominate as they have so far this season. Thus far into the season they have only played two top 10 teams, #4 Kansas State University and #6 Michigan State University (rankings are at the time the game was played), and have blown out every other opponent in very convincing fashion. 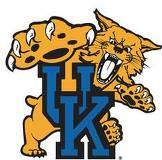 They stomped #4 KSU by 14 points and beat #6 MSU only by 5 points. I’ll admit KSU didn’t bring they’re “A” game that night and looked shell shocked, but I have to give Duke credit, Duke took care of business and came out of that game with a very convincing victory. Some might look at the score of the MSU game and say, “5 points. That’s not that impressive”. If you watched that game you know that Duke dominated every facet of the game. They out-rebounded, out-hustled, and all around out-played the Spartans. They forced MSU to play their game and in turn Michigan State looked uncomfortable to say the least. That leads to more questions, what makes Duke so good? How are they able to crush the competition? Ladies and gentleman, the answer is Kyrie Irving. Irving, a freshman, leads the team in scoring with 17.4 ppg. Kyrie Irving is shooting 45% from behind the arc and 90% from the free throw line. He is also getting to the charity stripe more than any other Duke player. 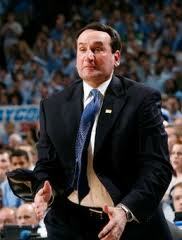 Coach Mike Krzyzewski changed the offense to make sure Kyrie was the focus point of the offense. That’s saying a lot considering he has Kyle Singler and the Plumlee brothers (Mason and Miles). Irving’s talents and skills complement his knowledge of the game perfectly. This combination allows Irving to make split second decisions and to follow through making very explosive and exciting plays. Unfortunately for the Blue Devils Kyrie suffered a big toe injury and is out indefinitely. When asked if Kyrie Irving could be out for the season Coach Krzyzewski responded, “He could be, he could be”. So what does Irving’s injury mean to Dukie nation? Quite frankly I think Duke fans can rest easy. With the amount of talent Duke has and a nonthreatening upcoming schedule Duke should be fine. Nolan Smith, who will be Irving’s replacement, is second on the team in scoring (16.6 ppg). He’s also shooting 30% from 3-point land and 75% from the free throw line. Yes, Smith can at times play out of control and isn’t the player that Irving is but he’s a serviceable point guard on a squad that has more scoring threats than some conferences. Kyle Singler has shown the ability to single handedly take over and win a ball game. Throw in Nolan Smith, Mason and Miles Plumlee and you still have a solid 4. Compliment those 4 with Andre Dawkins or Seth Curry and you have a good 6 man rotation. The only immediate threats I see on Duke’s schedule are Maryland(Jan. 9th), Florida State(Jan. 12th), and Virginia(Jan. 15th). 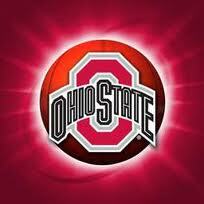 However, I still think they’ll handle these squads with ease and will continue to prove that they are the #1 team in the nation. They play Boston College on Jan. 27th and Maryland again on February 2nd. If Kyrie Irving isn’t back by then the Blue Devils should have enough game experience to be comfortable playing together and should prevail holding on to the top spot in the nation. If Irving is back by those games I see no chance for any team in the Atlantic Coast Conference(ACC). Other important games to keep in mind for the Blue Devils are on Feb. 9th and the last game of the year on March 5th against the North Carolina Tar Heels. Rivalry games always make for good contests and the outcomes are unpredictable. Just because I think the Blue Devils are the best team in the nation so far doesn’t mean they won’t slip and open up the #1 spot for someone else to take over. This early in the season the only team I’ve seen play consistent enough to give Duke a run for their money is the Kansas Jayhawks(9-0).